Tottenham are expected to be without Dele Alli for at least a month after the midfielder suffered a hamstring injury during Sunday’s 2-1 win over Fulham. The Englishman’s early withdrawal at Craven Cottage raised further concerns for Mauricio Pochettino’s side amid the club’s injury crisis. Liverpool’s Premier League title rivals have already lost talisman Harry Kane to an ankle injury this month, whilst Moussa Sissoko is also currently nursing a groin issue. Spurs meanwhile remain without Heung-Min Son, who is currently representing South Korea in the Asian Cup, and recently completed the £11m sale of Moussa Dembele to Chinese Super League outfit Guangzhou R&F. Alli is not scheduled to return to training until early March, Tottenham confirmed on their official club website. It marks another hammer blow to third-placed Spurs’ title ambitions as they look to close the nine-point gap between themselves and Jurgen Klopp’s league leaders. The north London club face Chelsea in their League Cup semi-final second leg on Thursday, before travelling to face Crystal Palace in the FA Cup Fourth Round on Sunday. 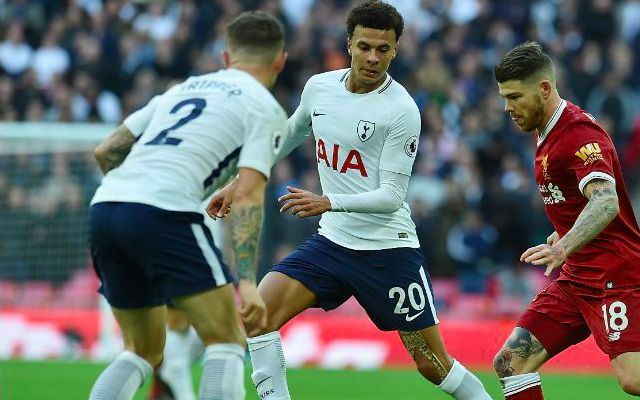 This is then followed by three consecutive home fixtures in the league against Watford, Newcastle and Leicester as well as their Champions League Round of 16 first leg against Borussia Dortmund – all of which Alli is set to miss. A hectic February continues with tough visits to Burnley and Chelsea in the league, until Tottenham begin March at home to Arsenal in the derby. It remains to be seen whether Alli and Kane will be fit to face Liverpool at Anfield when the sides meet on March 30.